SINGAPORE, 25 September 2018 - Canon announced today the new PIXMA Ink Efficient E4270 printer, ideal for homes and small businesses. Armed with automatic two-sided printing and an automatic document feeder that simplifies batch scanning and copying tasks, the PIXMA E4270 enables cost savings and boosts productivity. Powered by two FINETM ink cartridges, users can avoid the risk of ink spills or messy leaks in their printers. With an impressive black print yield of up to 400 pages, users can enjoy remarkable low-cost printing when confronted with large print projects such as school assignments or business presentation documents. A built-in 20-sheet Auto Document Feeder also makes it easy to fax, copy and scan multi-page document originals, while the automatic two-sided printing engine saves time and effort to produce double-sided printouts. The PIXMA E4270 features the ID card copy function which allows for easy reproduction of front and back copies of identity cards and staff passes, whilst retaining the original image sizes. The device’s Document Removal feature ensures that no sensitive or confidential documents are left on the scanner glass after copying, by activating an audio alert after a minute of inactivity. 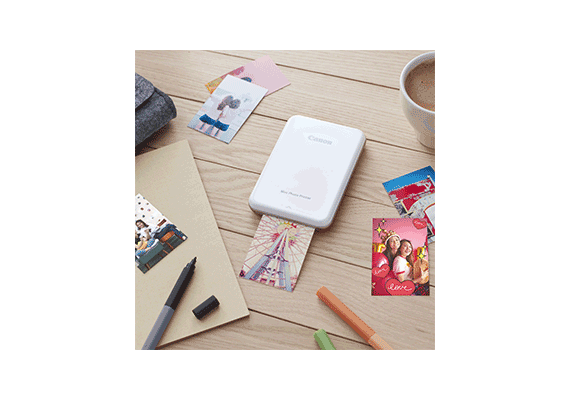 The PIXMA E4270 is designed for easy, hassle-free wireless setup right out of its packaging. Users can expect to begin device setup when the printer is first powered on - even before ink cartridges are installed. With a wide range of connectivity options available, printing is made easier than ever. The Canon PRINT Inkjet/SELPHY mobile app, free for download for iOS and Android OS devices, aids the user in connecting the printer to a secure wireless network. In the absence of a wireless router, the app acts as a conduit to connect the printer directly to a smartphone or tablet for printing or scanning. 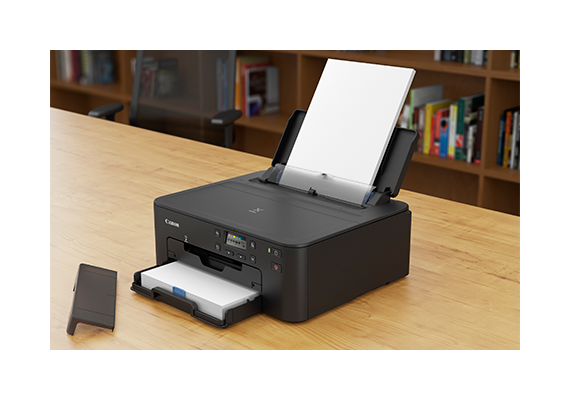 Apple AirPrint, Mopria and Canon Print Service (Android plug-in) are also supported on the PIXMA E4270 for direct printing from mobile devices. Users can also register their printer with the PIXMA Cloud Link service2 for printing of images and documents from web services such as Facebook, Evernote and Google Drive. The new printer supports the new Easy-PhotoPrint Editor (EPP Editor) app for iOS, Android OS, Windows and Mac OS platforms. With hundreds of stamps and frames available on the app, users can design custom layouts for their photos, calendars, postcards and fridge magnets. The user interface (UI) is designed to be similar across multiple operating systems, making it easy for users to use the app on any mobile device. Available on all iOS and Android OS mobile devices, the Message in Print app allows for personalised messages with animations or links to web videos to be embedded in any photo. Users can unlock the hidden message simply through viewing the photo via the app. The PIXMA Ink Efficient E4270 is available at all authorized local Canon distributors and dealers at the recommended pricing of $189. The PIXMA Ink Efficient range includes the PIXMA E560 model, which now also comes in Red.